#1 - The elevator eliminates climbing stairs with luggage and beach gear! This three bedroom oceanfront condo is one level with a gorgeous kitchen and plenty of upgrades. Heron Cove is a stucco and cedar shake 24 unit oceanfront complex with North and South buildings, elevators and oceanfront pool. Unit 103-South overlooks the pool and has a covered deck for watching the magical OBX sunrises. The kitchen remodel included all new cabinetry, stainless appliances, granite counter tops and glass tile backsplash. The living area is open to the ocean breezes with new sliding doors, draperies and carpeting. There is also a wet bar, dining area, dinette/game table, breakfast bar and a half bath with laundry. This unit's interior is freshly painted too. The oceanfront master suite has new carpeting and includes a private sitting area. The remodeled master bath has a soaking tub, tiled stand alone shower, double vanity and ceramic tile flooring. There are two additional bedrooms sharing a remodeled hall bath. 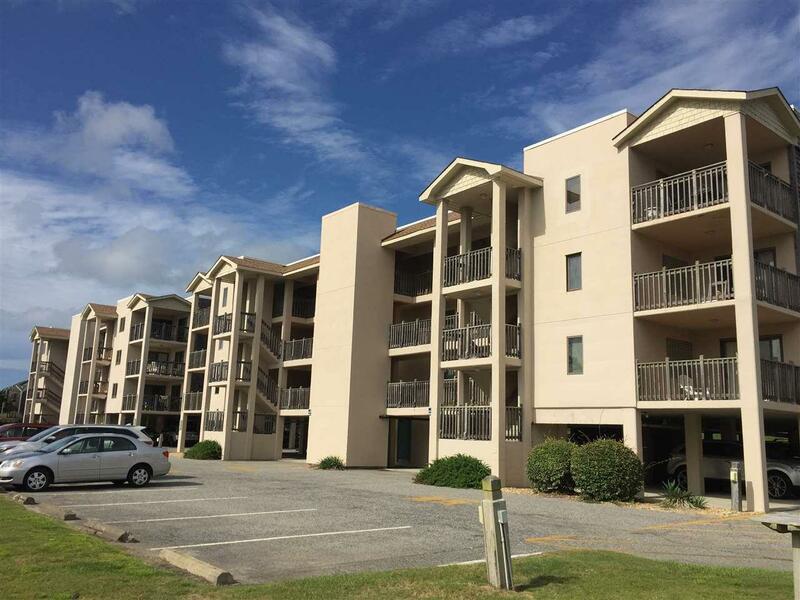 Heron Cove provides parking spaces in the private lot and under the building; plus, each unit-owner has a designated storage room for all the beach toys and fishing gear. This central location is close to Food Lion, Fresh Market multiple restaurants and retail shopping in addition to the Outdoor Adventure Park, Community Sound Access and The Sound-Side event site. The Town of Nags Head maintains a multi-use path for biking, jogging or a leisurely stroll. The Heron Cove Association is pro-active in maintaining the integrity of the buildings. In addition, they created a Capital Repair Plan for the future! Call to schedule time to see this great condo with current rental income. You may like it so much you will want to keep it as your private get-away!